OMG Posters! 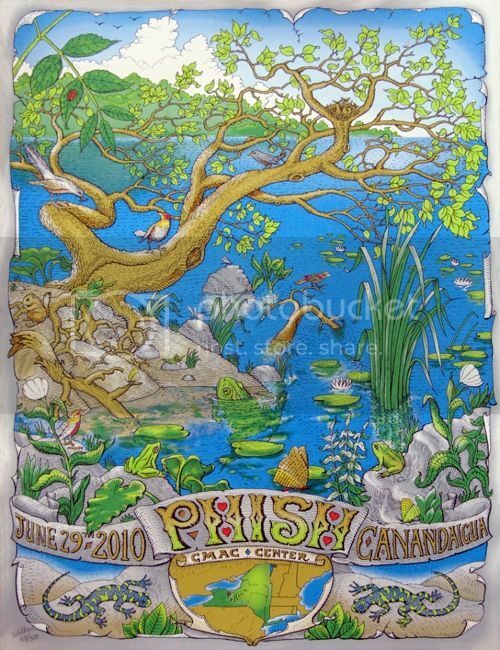 » Archive David Welker's Phish Poster (Onsale Info) - OMG Posters! David Welker’s stunning Phish poster (which debuted only yesterday) will go up for sale online in just a few hours. This is an 18″ x 24″ screenprint with an edition of 550. It goes up today (Wednesday, June 30th) at 10am EST. VERY FEW will be available online (like, around 20), then a small stack will also be available from Welker at Flatstock 25 in San Francisco. Visit WelkerStudios.com. Thank you, yet again Mitch!